If you wish to stipulate to the violation entered on the face of the citation, which occurred in the City of Racine, Wisconsin, remittance can be made in the amount indicated for the violation pursuant to the City of Racine Ordinances. VISA, MasterCard, Discover or American Express cards accepted through the Official Payment website. Online Payment - Click Here to search for parking tickets by your plate number. 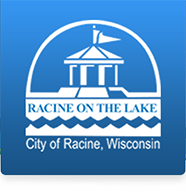 Make your check or money order payable to the City of Racine and write the ticket number and your vehicle license number on your check or money order. Include your name and address on the envelope and on the ticket where indicated below. DO NOT MAIL CASH. Payments must be received in our office by the due date to avoid additional penalties. Deposit your payment in the drop box at the Racine Police Department. The drop box is available 24 hours a day, 7 days a week. At the Racine Police Department from 7 a.m. to 6 p.m. Monday thru Friday and from 8 a.m. to 2 p.m. Saturday and Sunday. Late fees will not be added after a "Pre-trial Hearing" has been scheduled, but failure to appear will result in the immediate assessment of all late fees. Suspension of vehicle registration(s) will remain in effect until either the full payment of the citation or you have appeared at the "Pre-trial Hearing." Failure to appear at your court hearing date or Pre-trial Hearing date may result in a default judgement against you, which may include a money forfeiture, Driver's License suspension, vehicle registration suspension, or the issuance of a Commitment for your arrest. You may have an attorney help or represent you at any time, but you are not required to do so. The Public Defenders Office does not get involved in this type of case.